For today’s ophthalmologists, state-of-the-art ophthalmic equipment is essential to providing the best possible eye care. 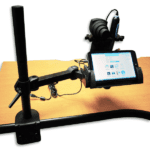 But, as the technology behind these highly specialized instruments continue to evolve, it is becoming more and more challenging – and expensive – for eye care professionals to keep up. 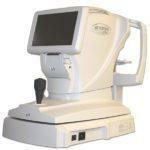 Vision Equipment Inc. offers a cost-effective solution: We sell used ophthalmic equipment. By purchasing our pre-owned, professionally reconditioned ophthalmology equipment, an eye care professional can save thousands of dollars. We offer a comprehensive array of used ophthalmic equipment for sale, helping many ophthalmologists in Florida and across the nation meet the challenging demands of an increasingly complex health care environment. We’re also pleased to accept trade-ins and consignments. If we don’t have a specific instrument that you’re looking for in stock, we will continually search for it through our network of reputable vendor partners. Whatever you may need for your ophthalmology practice, we’ll work with you to keep you firmly positioned on the leading edge of eye care. Additionally, if you currently own an ophthalmic instrument that needs attention, we can help. We service all types of eye care equipment regardless of where it was originally purchased. You can purchase used ophthalmic equipment from Vision Equipment with confidence. All of our equipment sales are backed by an industry-leading parts and labor warranty, and we offer extended service contracts as well. You can also turn to us for helpful telephone support whenever necessary. If you’re ready to capitalize on the latest ophthalmic technologies by upgrading the instruments and equipment in your ophthalmology practice, contact Vision Equipment today. We’ll help you make a fully informed buying decision by taking into account your office as a whole, which can ensure a seamless integration of any used ophthalmic equipment you purchase from us.